The 2019 Australian Banana Industry Congress is now just months away and, for the first time, we’re offering one lucky grower the chance to win back the cost of their registration – and more – a prize valued at up to $2170*. 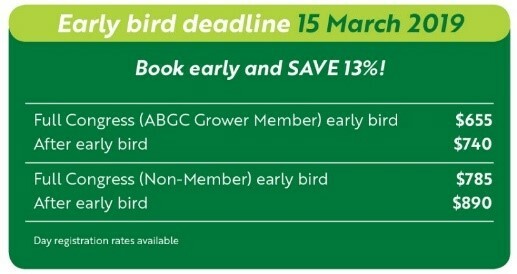 Any grower who registers before midnight March 15, will not only receive a fantastic discounted ‘early bird’ rate, they will also go into the draw to win back their full registration costs, three-nights’ accommodation at Royal Pines and $500 towards travel. Congress 2019 will be held on the Gold Coast at the five-star Royal Pines Resort from May 22-24. NRL great Shane Webcke, demographer Bernard Salt and banana experts from across the globe will lead the ‘change and challenge’ inspired program. You’ll also hear first-hand about on-farm innovation from growers trialing new practices and get a chance to network at fantastic social events, including the much-loved Banana Ball. 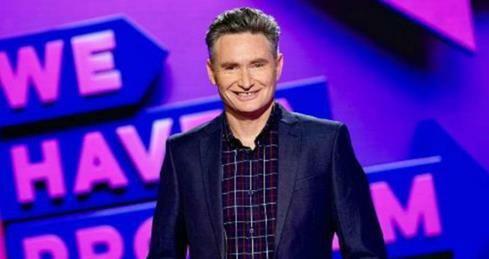 One of Australia’s favourite stand-up comedians, radio and television presenter, Dave Hughes will headline the entertainment at this gala event. Registering is simple: jump online at www.bananacongress.org.au. If you’re having any trouble with your registration don’t hesitate to call the ABGC head office on 07 3278 4786 and ask for Hilary or Amy. They can either talk you through the process, or complete registration on your behalf. We are looking forward to seeing you on the Gold Coast in May!! *T&C – Accommodation is for one room over the three nights of Congress (May 22, 23, and 24) at Royal Pines Resort. Either a Superior View or Mountain View Room at $220/night, or a Spa suite at $295/night. Travel costs are limited to $500. Competition closes midnight March 15 (AEST), with the winner to be drawn on Monday, March 18. Winner will be announced on social media and contacted directly.